The internet has made it easier than ever for anyone to start an online business of their own. No matter your expertise or plans on how to make money, there is simply no excuse for sitting on the sidelines any longer. With the latest advancements in technology and growth of new opportunities, there is no longer a huge learning curve or big financial investment required to start an online business. Thanks to ‘software-as-a-solution’ based services and platforms, it’s now easier than ever to create a website, brand or online business without any technical experience or programming. In most cases, it’s simply a matter of plugging in some basic information and using a drag-and-drop platform to create whatever it is you need. This has been an amazing trend to watch develop over the past several years, as I personally have over 20 years of experience in the world of online marketing and branding. From the days of creating sites with straight HTML and uploading content through FTP, to now never having to touch a line of code, I’ve been able to experience the amazing changes in our industry and how simple and straightforward it has now all become. In short, I’ve had the opportunity to use some of the best tools, resources, and guides for growing my business to what it is today. I wanted to share a few of them with you to help you on your entrepreneurial journey. 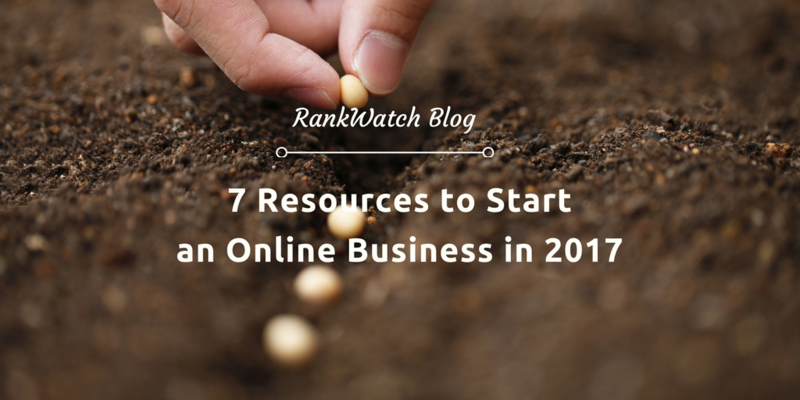 Be sure to run through the list of resources below and see how each might apply to your business or helping you get started in the right direction. Think about how many emails you are sending back and forth on a daily basis. Even if it’s just ten emails per day, that’s almost 4,000 emails per years. If you are sending a lot more emails than this on a daily basis, the number can be well into the tens of thousands per year! With all of this email going back and forth, you are potentially missing out on a ton of free branding and opportunities if you don’t have a nice email signature in place. This is something I setup withWiseStamp a while back, and the ROI is increasing daily. Not only does it make my emails look extremely professional, it also makes it easy for others to see my latest blog content, social profiles and how to best contact me outside of email. In addition to email signatures, they also offer single page setup for anyone needing a personal profile site real fast. The great thing about email signatures is that they can start working for you right away — even if you don’t have a business in mind at the moment. Set one up today, add your profile picture and see what type of results and new opportunities come as a result of it. One of the first things you will need to do to launch your online business is to have a website or blog. In previous years, this was a more costly and time-consuming process. Now, thanks to the power of WordPress content management platforms and drag-and-drop site builders, anyone can go live with a site of their own in just a few minutes time. The whole process breaks down to picking a domain name for your site, selecting a reliable hosting solution and then clicking a few buttons to go live with WordPress on your site. After that, it’s simply a matter of creating content for your site and sharing it with the rest of the world. However, when doing anything for the first time, it can be a confusing and overwhelming process in the beginning. I highly recommend you take a look at this how to start a blog guide, which walks through all of the important decisions and steps you will need to take when starting a new website or blog. When launching a site of your own, keep in mind that there are currently over a billion active sites on the internet today. Make sure your site and content are providing real value, while offering something better than the competition. 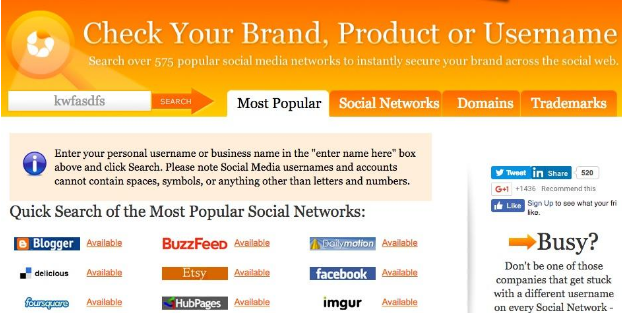 There are currently over 2 billion users spread across all of the active social networks in the world today. It’s likely you are already on the major ones like Facebook, Twitter, and LinkedIn… but what about all of the others? If you are going to start an online business or grow out your personal brand, you are going to want to make sure your name is protected on such platforms. A helpful service for accomplishing this is Knowem, which allows you to type in any desired username and see if it’s available across a wide range of social networks. If you have a unique personal or brand name, it’s important to try and secure the same username across multiple social platform to keep your branding consistent. The process of setting up such social accounts can be done manually, or you can pay for their service to secure all of the social accounts for you. A common theme among the list of services and solutions I’ve recommended so far is that many of them are easy to use for the average person. Gone are the days when you need to have a lot of investment money to start an online business, along with the need to hire a design and programming team around you. 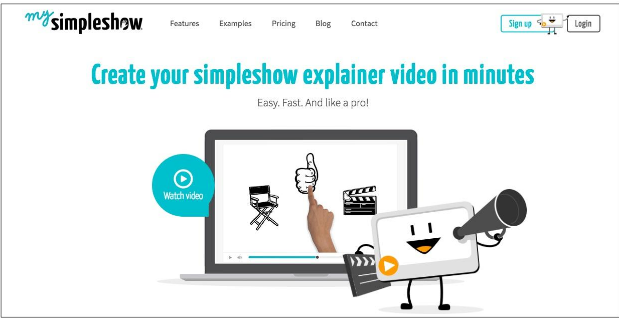 Two more excellent solutions for creating images and video content are Canva and MySimpleShow. Each is unique in their own way, as Canva is one of the most popular graphic design sites in the world today for creating free images for site content or social media, while MySimpleShow allows users to create advanced whiteboard or explainer videos without the need to ever get behind a video camera or even hire a video professional. With such tools and solutions now available, it’s easy for anyone to get started with a business or brand of their own… while also controlling how they look in the process. While a website or blog is always going to be important, they aren’t 100% required if you already have an expertise and are ready to just start selling. One of the best ways to accomplish this is to simply launch an online video course or membership site where you can sell your content, expertise or services at a premium. Again, something like this might be quite complicated, expensive and time-consuming in the past, but it’s actually quite simple to set up these days. 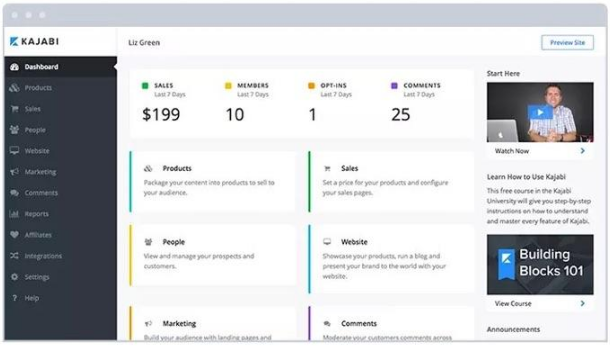 Solutions like Kajabi make it easy for anyone to create an online site, upload their best content and start selling it to audiences immediately. 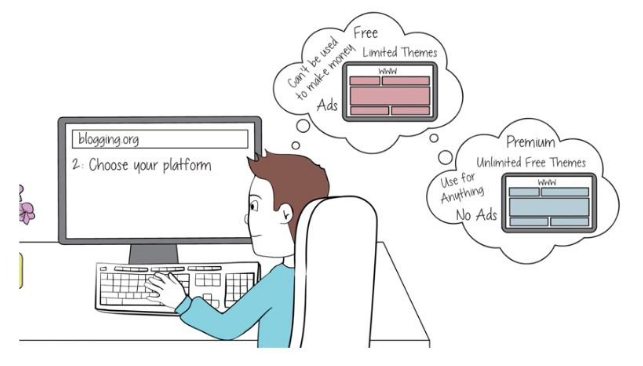 Best of all, the platform is built with a drag-and-drop builder in place, which means you won’t need to touch any code or even need to know site/graphic design. If you were to look at all of the online businesses in the world today, the common theme among them all is that ‘content creation’ is a big focus area for them. With content creation, your site with rank in the search results, target the audience you are looking for and also provide them with value in the process. In short, we all need great content. However, not everyone is great at creating content or has the time to invest in it. Instead of hiring a full-time writer, a better option might be to use a freelance writing marketplace. Sites like TextBroker and Contentmart allow you to create your writing jobs where you decide how much content you want, the topics written and how much you want to pay. The benefit of using outsourced content writers is that you will only need to pay for the work that you need completing. You can also hire all writers based on their writing skills, expertise and work history. The last resource in my list for starting a business online isn’t a tool or a service, it’s simply something that every business owner or entrepreneur needs to remember to stay relevant and ahead of the competition. The business world on the internet is like no other, in that everyone is a lot more willing to help each other out. It’s also a lot easier to grow a following as well. With this in mind, a great way to grow your own expertise, following, and branding is to highlight the expertise of others. This can often be done through the use of expert roundups where you ask a wide range of experts a single question, then compile them all into one big mega post. The end result is great content for your audience, exposure for the experts featured, and more authority and branding back to your site. There are many examples of expert roundups taking place on the internet today. I recommend you take a look at this one on Blogging Tips. Once you’ve seen the benefit and how other sites are using expert roundups and interviews on their own sites, be sure to implement these same methods into your own online business. As you can see, all of the resources and solutions are already out there to help you get started… now you just simply need to take action. Whether you are just getting your feet wet and seeing if there is a market for your idea, or you are a seasoned veteran and ready to sell your expertise and online courses to the masses, don’t let another minute pass you by. Get started today and make your mark in the world of online marketing and business!